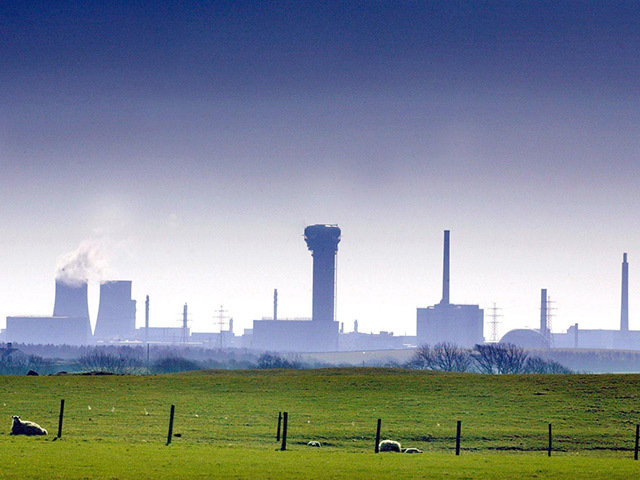 A 60-year-old, 650-tonne chimney at the Sellafield nuclear site is being demolished – at the rate of one metre a week. The 61-metre-tall structure sits on top of the site’s first generation reprocessing plant, and used to provide ventilation to a fleet of plants. The structure does not meet modern construction standards, so it is being removed over the next few years, but Sellafield said its position – on top of a 61-metre-high building – on one of the most congested nuclear sites in the world, makes its removal complicated. Conventional demolition techniques like explosives and cranes cannot be used in such a crowded, hazardous environment. Stuart Latham of Sellafield Ltd said: “Cleaning up our legacy facilities safely, quickly and cost-effectively is our absolute priority, so we are delighted to now see the stack coming down after four years of preparation. “Given the structural integrity of the stack, its location in the heart of the site and the fact that this new technique has never been used here before, the planning has been comprehensive. “The project demonstrates the challenges of decommissioning the Sellafield site.